 Registration is Open for 2017 Conducting Serious Incident Investigations Training - A.N.D. A.N.D. is offering the Conducting Serious Incident Investigations training to meet the requirement in PM 46 regarding investigations training. The curriculum and will include the fundamental principles of conducting investigations including: the types and forms of evidence, investigative techniques for collecting evidence, interviewing witnesses, taking statements and reconciling conflicting testimony. This training teaches investigative skills and does NOT cover specific policy issues in PM 46. Participants who successfully complete the Conducting Serious Incident Investigations course and score 80 percent or higher on the exam will receive Level I Certification. This exam is optional and not required by PM46. Cost: $335 (members); $385 (non-members). Please note: Cost includes training manual, coffee and breakfast daily (lunch is not included). $169 optional exam is offered but not required. 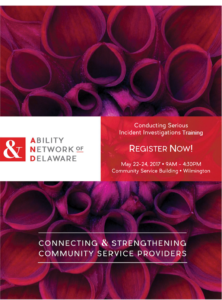 Registration: Contact Carolyn Petrak, Associate Executive Director at cpetrak@abilitynetworkde.org for registration information.